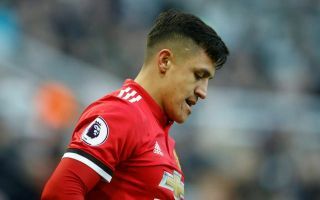 Manchester United reportedly have some concerns over Anthony Martial as he’s said to be assessing his options following the January transfer window arrival of Alexis Sanchez from Arsenal. The Gunners are among the clubs now being linked with the France international, who started this season in fine form on the left-hand side before losing his place to Sanchez. The Chile international joined in January and has unsurprisingly become a regular starter for Jose Mourinho’s side after a high-profile move, though that has come at the expense of talented youngster Martial. Undoubtedly eager to ensure he’s playing regularly, the Sun now claim the 22-year-old is concerned and assessing his options as clubs show an interest in snapping him up. The Sun quote a source as stating Arsenal and Paris Saint-Germain are pursuing the France international, which is consistent with speculation that the north Londoners initially wanted him as part of the Sanchez deal before eventually landing Henrikh Mkhitaryan from the Red Devils instead. An Old Trafford source told the Sun: ‘The boss is ready to sit down with Anthony to put his mind at rest. ‘PSG and Arsenal both want him but Jose still has plenty of faith in his talents and rates him highly. Martial has 12 goals and six assists in all competitions this season and is pace and goal threat make him an explosive player when he’s at his best, though he’s arguably struggled for consistency in Manchester. Still, many top clubs would surely feel he’s worth gambling on if he does end up leaving the club.